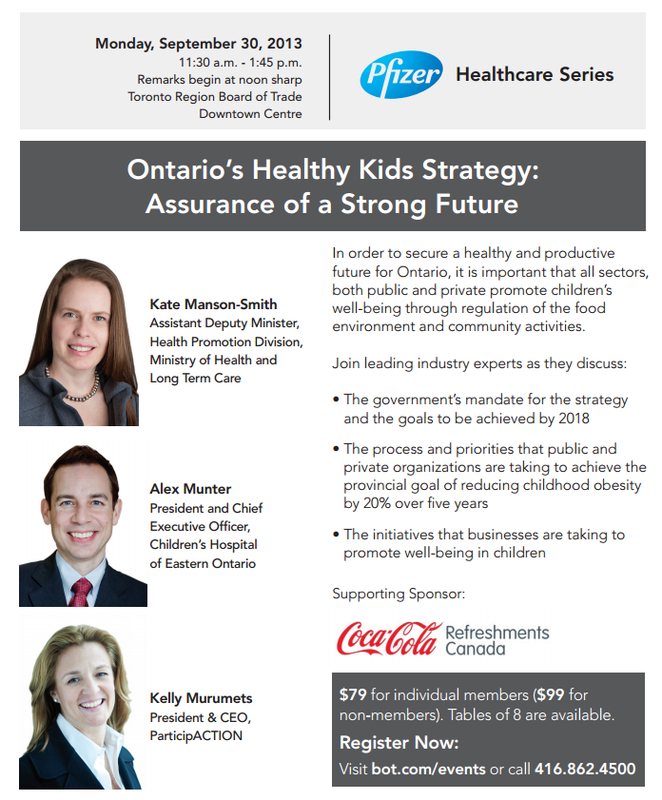 Weighty Matters: Why Is Ontario Letting Coca-Cola Fund a Healthy Active Kids Conference? 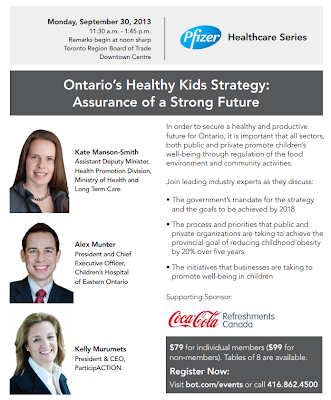 Why Is Ontario Letting Coca-Cola Fund a Healthy Active Kids Conference? The what's in it for Coca-Cola is clear - it's health washing plain and simple, both in terms of being able to claim they're working together for a solution, and also in terms of dilution. What I mean by "dilution" is that Coca-Cola's sponsorship of the event will almost certainly dilute the speakers' abilities to candidly discuss sugar sweetened beverage (SSBs) taxes, vending machine bans, zoning law preventing fast food or convenience stores from cropping up within walking distance of schools, public health campaigns that vilify SSBs and promote tap water. At the very least Coca-Cola's funding will soften the words of the speakers when considering these issues (and given the subject of the discussion, it would be wholly appropriate for SSBs to be discussed), and at best (for Coca-Cola) it will silence them altogether. But the question I can't seem to answer is why Ontario allowed it. To be fair, this isn't formally a provincial conference, it's being put on by Toronto's Board of Trade which no doubt has a mandate to serve industry, but it does include the Assistant Deputy Minister, Health Promotion Division, Ministry of Health and Long Term Care, along with the co-chairs of Ontario's government appointed Healthy Active Kids panel. And to be fair too, "allowed" is a nonsensical word when it comes to privately organized events like this one. But it sure is a shame. "Build your brand. Raise your profile through brand exposure on site and in Board media. And make an impression at Toronto’s premier business events, including our Annual Dinner Gala, Business Excellence Awards Golf Tournaments and more. Develop powerful collaborations. Connect with respected leaders from business, professional services, government, and cultural communities." Not exactly the platform I'd want the ADM for the Ministry of Health's Health Promotion Division to help extend to Coca-Cola.